My World of Sadness, a rant and an action….. The Rant: In the last 24 hours the we lost two precious children to childhood cancer simply because they ran out of options. [About 10 children in North America die everyday from cancer.] I know the tendency is to say that medical science just hasn’t reached the point where more options could be developed but I can’t say that. With so little being done to find better treatments, worldwide, by governments, large charities and practically nothing by pharmaceutical companies, and so many good leads and brilliant researchers out there with not enough money to go full steam ahead the only reason I can see that these children died is lack of will. Lack of will by big pharma to do more because childhood cancer treatment is not profitable…..lack of will by governments because more political points are won putting big bucks in adult cancers……lack of will by the largest cancer charities because of high overhead costs to keep bloated offices running and CEOs well paid, all trump the value placed on our children’s bald heads. The lack of research is not due to lack of opportunity or need or even money. I am continually sickened at the financial reports of charities who boast of doing so much for others while keeping both hands firmly in the money pot to make their lives comfy. Governments, charities and pharmaceutical companies could all find the money needed just by shifting priorities. We, the public, have accepted the toxic treatments for cancer, that poison both children and adult bodies, with crippling results, because it is all we have ever known. We think this is just the way it has to be. It doesn’t! Science continually moves forward. Breakthroughs and new ideas are continually being found yet the move towards change is painfully slow with damaging and even deadly consequences. While government agencies and high profile charities push forward the misinformation of an 80% survival rate for childhood cancer, giving the impression that there is little that needs to be done, it is primarily the parents of children with a cancer diagnosis left to push for what is so desperately needed….better treatments, more options…..a cure. In fact most of the childhood cancer foundations created are started by grieving parents. Watching a child die a slow, hideous death from cancer or the side effects of the treatments, propels parents to push aside their grief and do whatever they can for others. Even those of us lucky enough to have surviving children are so scared by what we saw our children endure we cannot walk away from the battle. Yes, it is a battle! We are working against a misinformed public and the apathy of those holding tightly to the research purse strings…… It is such a difficult, exhausting fight……. The community of childhood cancer is full of sadness and pain and a deep feeling of injustice but it is one I can never walk away from. Now that I know what really goes on, the poisonous treatments, the wide array of side effects that go on for a lifetime, the appalling lack of funding, the possibilities for better treatments, the devastation and the hope….. this is a battlefield! …and I will never leave it’s trenches. Gabriella has asked me, all of us, to stay in this war and I wouldn’t dream of disappointing her. 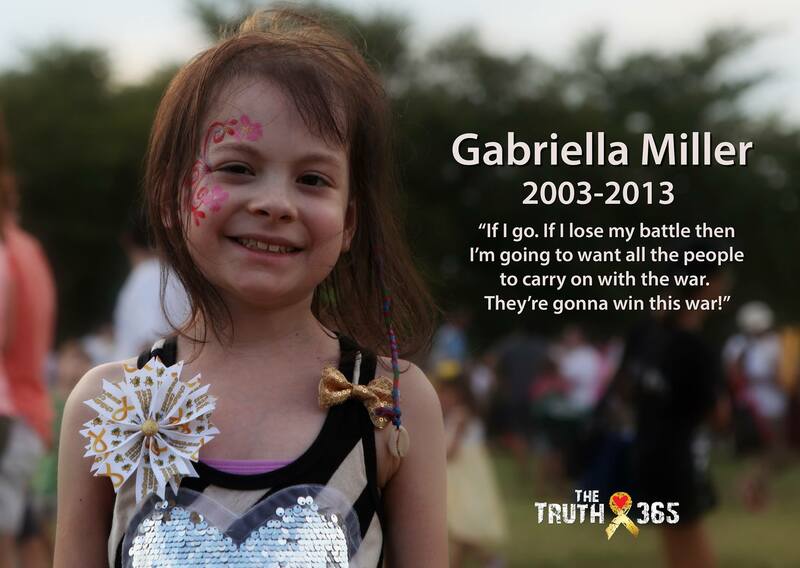 Make a Wish with Gabriella via TheTruth365. The Action: Awareness is the first line of action in the war against childhood cancer. What is important to us must become important to the Powers That Be. Being aware of the issues and spreading that awareness is the starting line and something we can all do! I’m going to ask you to do ONE thing, yep, just one! Watch this eight minute video by TheTruth365 and then pass it on. That’s it. That’s the starting point. Keep in mind that childhood cancer favours no ethnicity, life-style or economic status. It is an equal opportunity killer. Even though this is an American video the issues are global. Please, please join us. This battle will not be won unless those of you who have never been touched by childhood cancer help us. For 16 years of parenting I never knew anything about childhood cancer. I wish I did. I wish I could have been involved earlier. I might have made a difference for my child. Get involved. Make a difference for those not yet diagnosed. 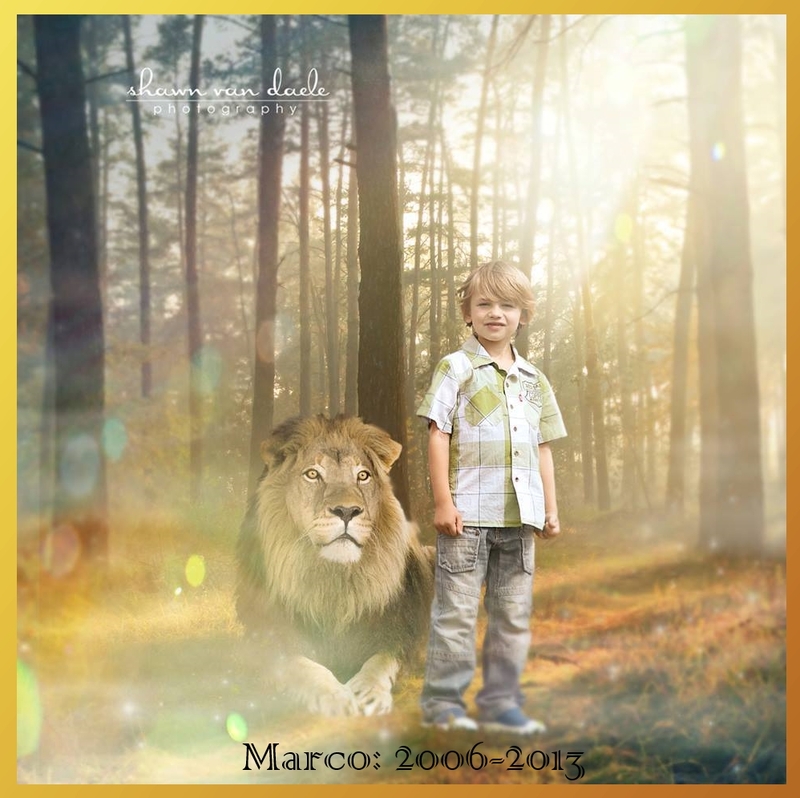 This entry was posted in awareness and tagged cancer, chemo, childhood cancer, childhood cancer awareness, Gabriella Miller, pediatric cancer, thetruth365 by GoldenCancerMom. Bookmark the permalink. Reblogged this on Knitting Rays of Hope. Wow. Thanks. I’ve never been reblogged before.